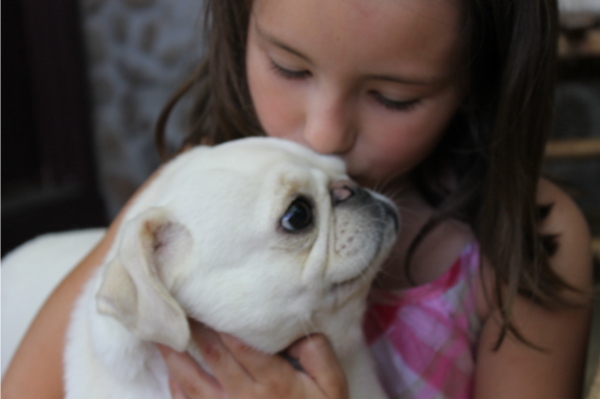 Visit us on Facebook for available puppies and upcoming litters. 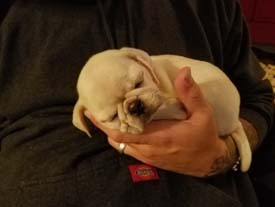 This is Kellach, our first White Pug. What a beautiful princess. 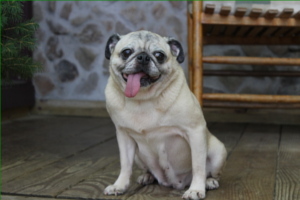 Want a Pug ADOPTION FEE FREE? Consider our CP Guardian Program! The Ancient Celts of Ireland respected all living creatures and embraced peace and harmony. 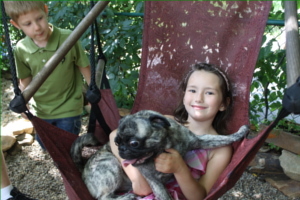 Celtic Pugs strives to honor our Celtic Ancestors by raising only AKC registered Pug dogs with the interest of betterment of the breed, now including the Brindle, White, and Silver Pugs. Our adult Celtic Pugs and Celtic Pug puppies are not from Ireland, but are given Celtic names to remind us of our heritage. 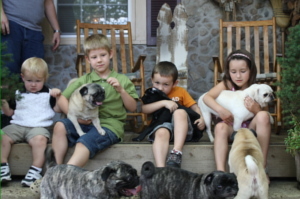 Our Celtic Pug puppies become well adjusted and loving adults. 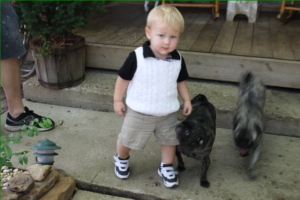 We truly care for all our Celtic Pugs, and it shows. 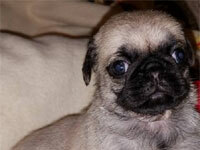 Celtic Pugs also is open to ideas that will help our Pugs with nutrition and for their mental well being. 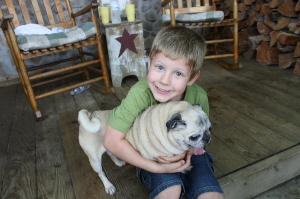 We have created CP Guardian that offers select families and individuals the opportunity to have a Pug dog in their home. 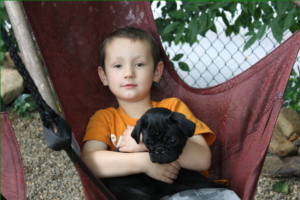 If interested in the program, please click on our Celtic Pugs Guardian Program page. While we love to have visitors, we ask that you come byappointment only. 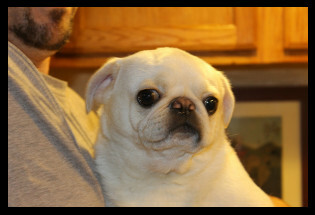 To make an appointment email us at celticpugs@atlanticbb.net. Special thanks to Jim Shaffer for his time and talent in creating our artwork and family crest! feedback for us please email us today! © Content copyright 2012. Celtic Pugs. All rights reserved.